At Specsavers we bring you high standards of service and expertise in eye and ear health. All of our stores are locally owned by optometry and audiology professionals whose priority is to provide a best in service experience. 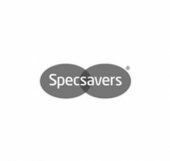 So head into your local Specsavers to find exceptional value for top quality glasses, contact lenses and hearing aids.